A friends card today with the Vintage Garden collection. Here I used the pink and green colors together. Also some corrugated cardboard and some real twigs, cut from my garden. 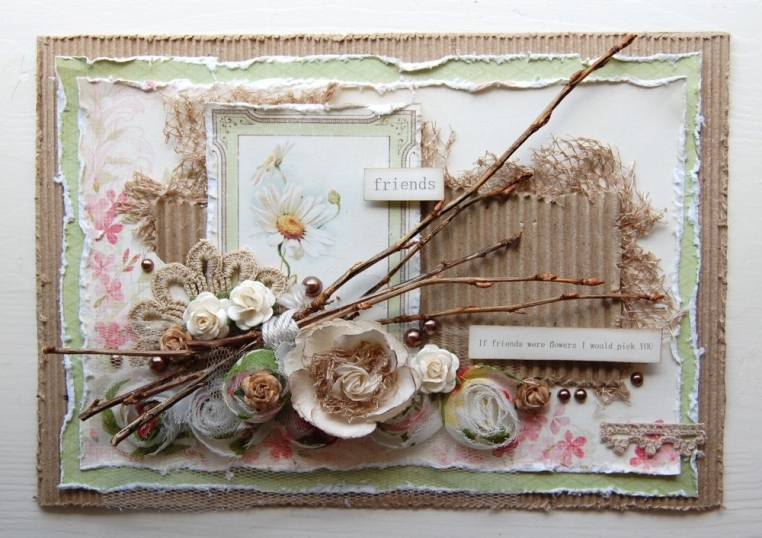 Absolutely beautiful – I love anything with corrugated card, and the twigs are a wonderful addition! i love all these cards!!!! What a lovely card, full off nature, I like it. So So Beautiful.. Love the style.. and those flowers made of fabric is Stunning!!! Beautiful put together.. and I love the style… FAB Decorations!! !